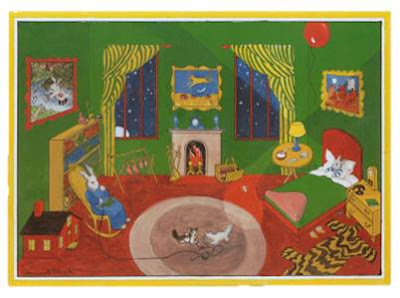 While reading the classic story of Goodnight Moon to my tiny tot this weekend, I had the most fantastic idea pop into my head - I should design a kid's room exactly like the room in the book. The little bunny's room is so whimsical and bright and fun, something any little one would like to play (and maybe eventually fall asleep) in. 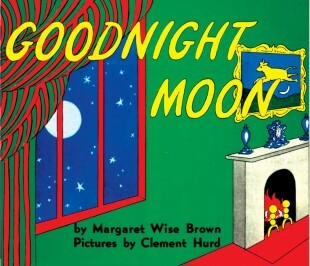 I Googled "Goodnight Moon Room" and didn't find much, so I figure it's a pretty original idea...so, why not?!? The great part about the more expensive pieces in this room (the rocker and the dresser) is that you can find some very similar alternatives by simply scouring Craigs List or local garage sales and then painting them to match the space. 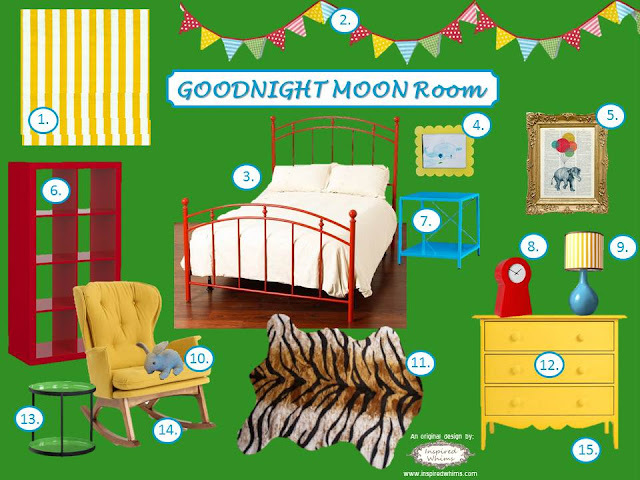 The expensive yellow dresser shown above could easily be replicated by purchasing an old dresser, sanding it down, then spray painting it a sunny yellow shade. 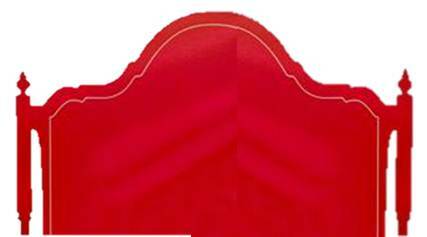 And, if you don't have the space for a big 'ol bed like this one - try a cool headboard decal like this for the same look! Thoughts? The room may be too bright for the faint of heart but with a neutral floor (wood, carpet, etc.) I think it would be just the perfect dose of fun! The rocker is my favorite piece for the room albeit a mega splurge. I also adore that elephant and balloon print on the vintage dictionary page - so inspired and unique! What is your favorite item? SO fun!!! I love the dresser.